Inky Dream: Kaboodle Doodles Challenge # 37! We have a great challenge for you this week at Kaboodle Doodles. We want to see your projects with METAL on them. It could be a button, or a charm, or even metallic papers. 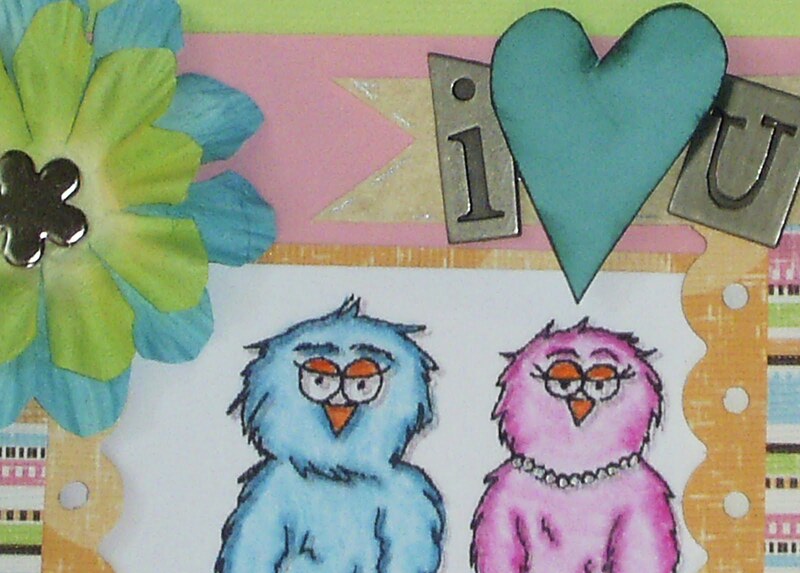 The winner receives three digi's of their choice from Crafts 4 Eternity. 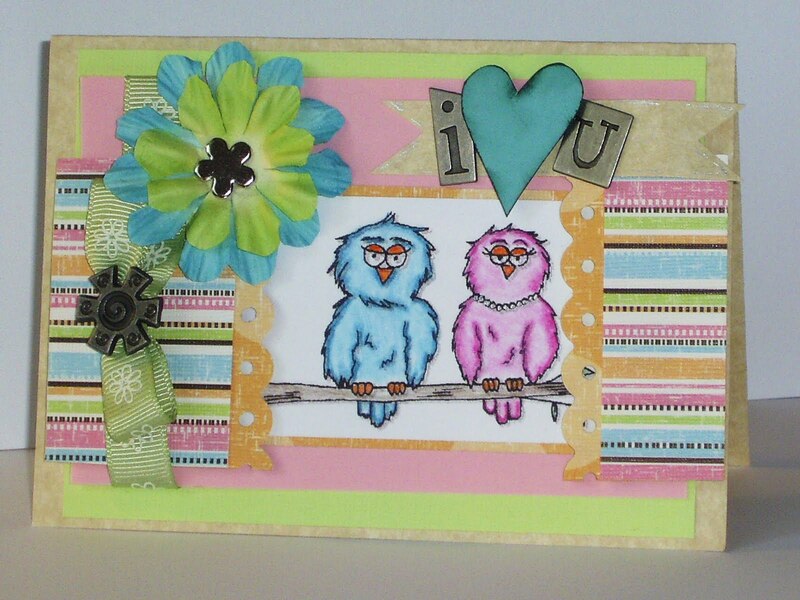 For my card I used their image called Mr.& Mrs. Owl. I think they are so adorable. If you want to see some of the other available digi's, have a look in their store. The Crazy Challenge wants to see FOREST FRIENDS. Paper Sundaes has a METAL challenge. Thanks for stopping by, and I look forward to seeing your creations! So cute Farrah! I love the colors -- your coloring and the dp just mesh perfectly. Gorgeous colours and cute image! Thank you for joining us at Paper Sundaes - we hope to see you again next week! P.S. If you love challenges then my new sister blog is purr-fect for you, hope you will stop by and check it out! What an dorable image and I lovelove-love the colour scheme! Such a cute card! What a fun card and an adorable image. So glad you could join us at Paper Sundaes - hope we see you again next week! really cute! love the metal accents you used!